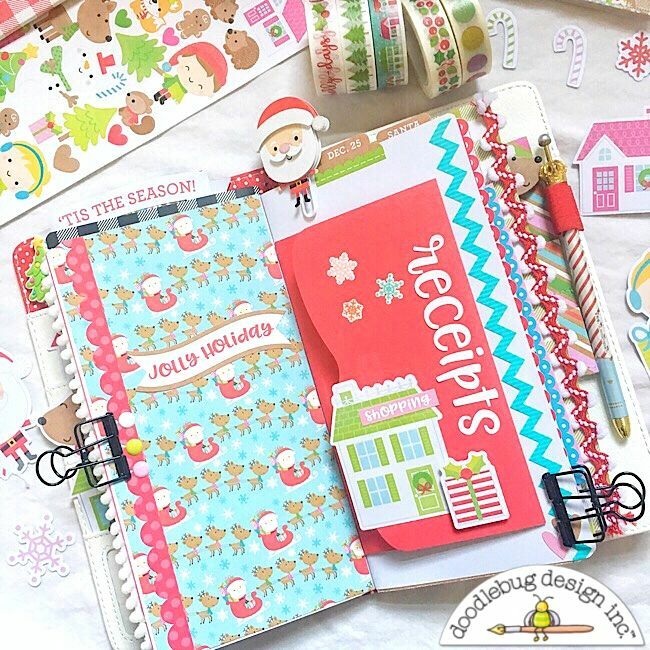 Recently, I decorated and set up my beautiful new red Daily Doodles Traveler's Notebook. (You can see it on my last blog post.) Now that the holidays are drawing near, I decided to start setting up the inserts. I debated on what I wanted to start with. 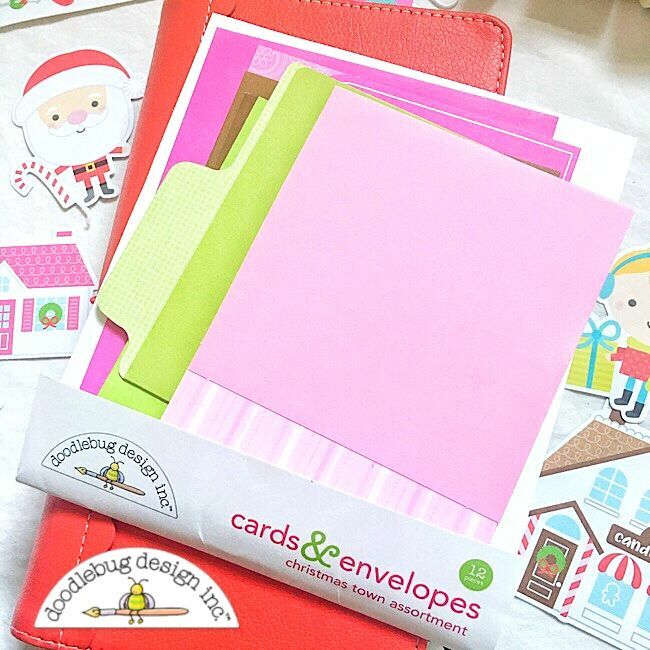 As I perused my box of Doodlebug goodies, I came across the card and envelope sets. I decided I would do something with them to create some interactive pages in my TN. One of the things I love most about the cards and envelopes are that they come in a variety of shapes and sizes. I picked the ones that I wanted to start with, found some coordinating papers and got to work. Each spread has the same general design. I cut paper to fit the left side. Then, I adhered the envelope to the right side. Fancy Frill stickers were used on each page as a border. I used the Abigail letter stickers to spell out what each envelope will hold. 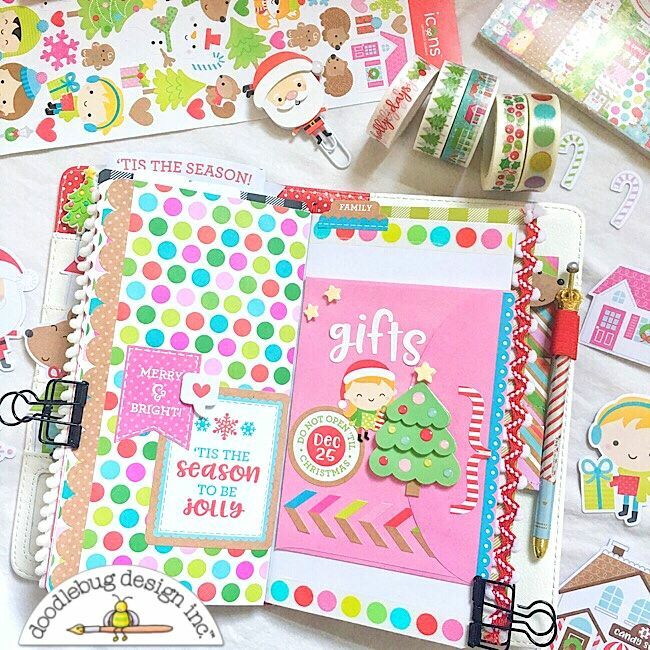 Then, I decorated the pages with the die cuts and stickers. I added some enamel dots for added texture, as well. 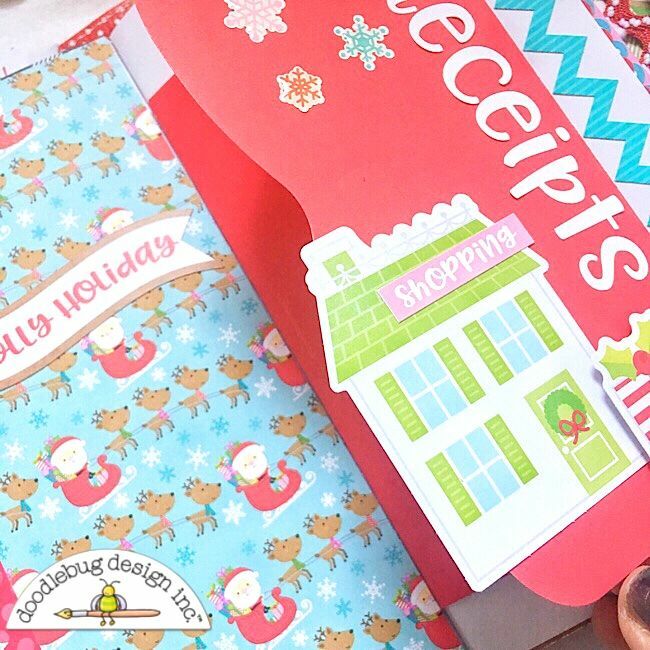 All you need to do is add the items to the envelope! This first one will hold receipts for gifts that I purchase. I added the sweet tree Doodlepop to this envelope. It will hold the list of gifts we receive. This last one will hold Christmas gift wish lists (say that 3x fast!). It's always fun to save these lists to see how they change from year to year. Other pages that I would like to add include 'quotes', 'cookies to bake' and 'songs'. I'm sure there are so many other things you might document. As you can see, the envelopes add a fun interactive element to my holiday planner. Love this so much Anabelle!! I love how you used the cards & envelopes!! Fantastic idea!